We are grateful for our Villa family members, volunteers, and staff who have been willing to share their own personal Villa story with us. Scroll down to read some of the wonderful things they have said about Villa. Be sure to follow us on Instagram, Facebook, and Twitter where we share testimonials like these as well as inspiring stories and updates regularly! If you would like to share your Villa story, we would love to hear it! 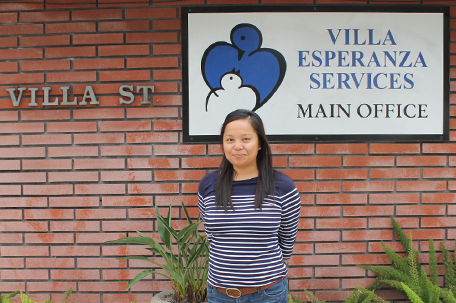 Please contact Lindsey Harrison, at LHarrison@VillaEsperanzaServices.org or (626) 449-2919, ext. 162 to share your story. Austin began his Villa journey 24 years ago as a preschooler at Villa School with severe autism. 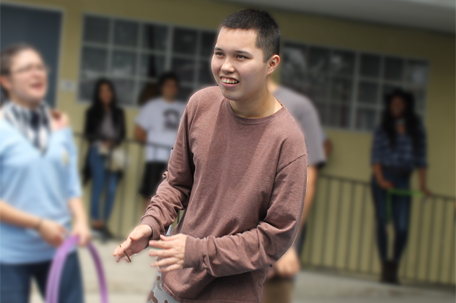 Today, Austin has returned to Villa and is thriving in the Dimensions Adult Day Program. His mother Debby describes: “Coming back to Villa is like a homecoming. 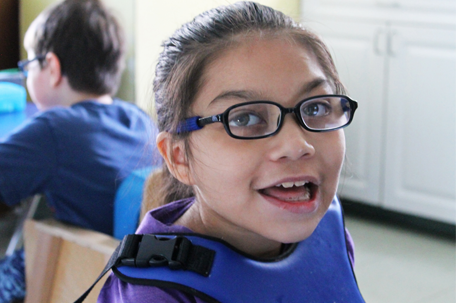 Austin needs his own identity, peer group, and increased independence, which he has at Villa. He can’t wait to leave the house each morning to attend Villa's Dimensions program. As soon as he gets home, he is already packing his backpack for the next day. 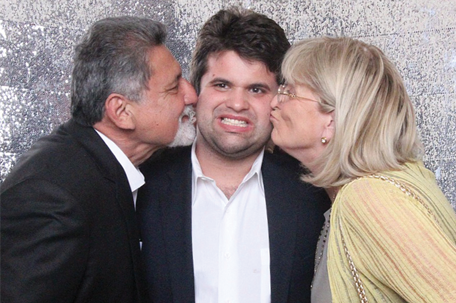 Returning to Villa gives us all a sense of peace and confidence that Austin’s future will continue to be bright and that he will always be cared for, valued, and loved.” Austin is pictured with mom Debby and dad Juan at last year’s fundraising gala. Nature-Watch President Harold Gordon and CEO Jeff Salzman (pictured 2nd and 3rd from the left) have created a mutually beneficial relationship with Villa by providing employment for Villa clients. 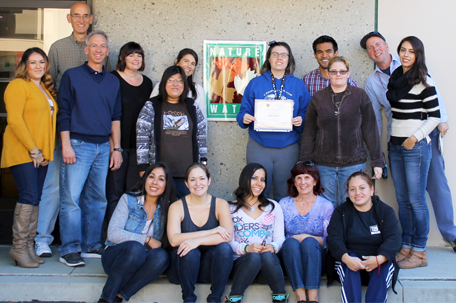 “It's been a terrific relationship and I think we all feel it has been a true ‘win-win,’” shares Nature-Watch’s Salzman. “Villa’s clients work hard, they do great work, and they are an absolute joy to work with. 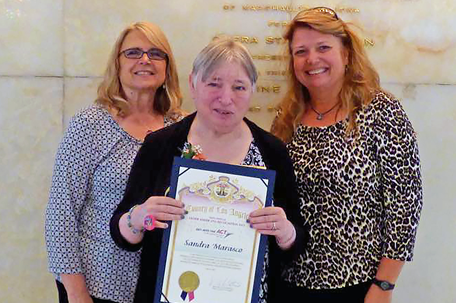 We've seen their work and life skills grow and develop through this process. We feel very fortunate to work with Ariel, Juliana, Raluca and Michelle each day.” To commemorate the 10 year anniversary of our partnership in 2016, Jeff, Harold, Villa clients, job coaches (current and former), management and executive team members joined together for a cake celebration. Josiah's mother Jeana shares these lovely words about his experience thus far: “Josiah has been at Villa since he was 5 years old. He's now 13 and will be transitioning to high school next year. 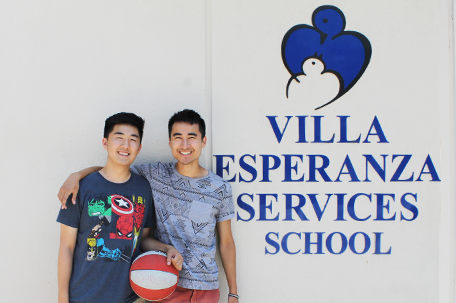 Josiah has had and continues to have a wonderful, fulfilling experience at Villa! Villa means everything to us in terms of Josiah receiving the best education in an environment that suits him very well. We love all the teachers and staff at Villa, and we know Josiah does too! It's very comforting to know that he's with people who love him and love what they do. 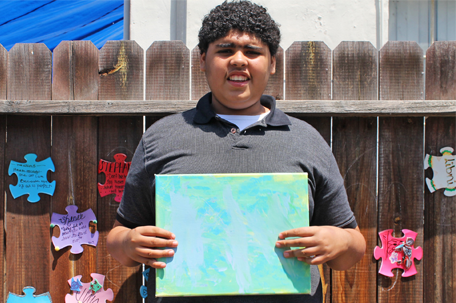 We are very grateful!” Josiah is pictured posing with the painting he helped create for Villa's Blue & White gala art gallery.